I really need to learn to golf...my husband loves it, and I started to learn a long time ago but then stopped. Need to get back on that train! That's what happened to me. I just got out there and tried and was so surprised at how much fun I had! I keep saying I'm going to take up gold and tennis just because their clothes are so cute! My husband loves to golf and we go to the driving range sometimes but I'm afreaid he wouldn't be very patient with me actually going from drive to putt. Ha! 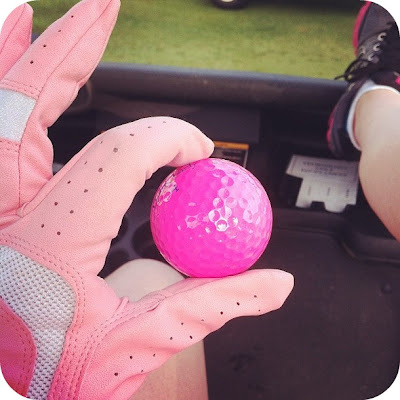 Mr. G has mentioned women slowing down the game sometimes, so I think as long as you are prepared to just say "ok, enough" and move on the next hole, it's all good! And the clothes are so cute. I have to admit, I was sartorially unprepared for this tournament. Next year I will do better.